Pretty much every kids film is about finding your “true self” or being “true to yourself” or some crap like that; we all throw to the side the moment we stepped foot into high school and just want to be liked. Kung Fu Panda 3 relies heavily on this “true self” theme, perhaps heavier than most films centering on anthropomorphic samurai warriors. The villain General Kai (voiced by Farmers’ Insurance spokesman and Oscar winning actor J.K. Simmons) fights his way out of the Spirit World by stealing the chi of deceased Kung Fu masters. The chi is your essence, your true self, and takes the form of jade medallions that turn into jade zombies under Kai’s control. The ancient prophecy states that there’s only one warrior that can defeat him. 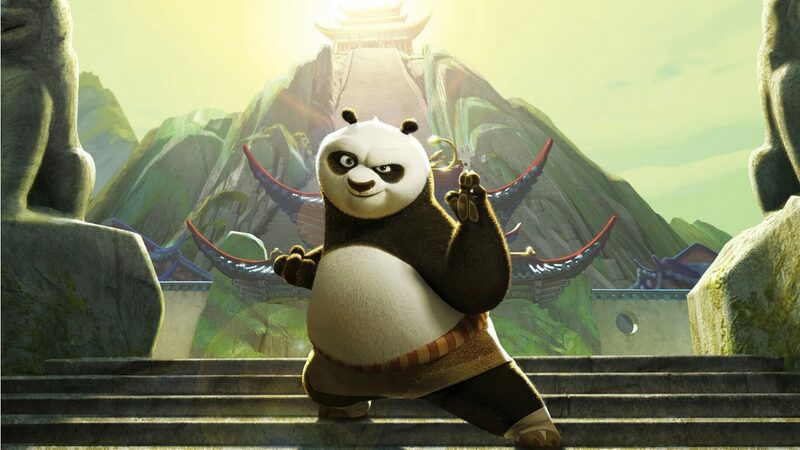 Yep, Po (rolly-polly, over-eager panda voiced by former Tenacious D frontman Jack Black) must learn, once again, that the true warrior lies within (imagine me pointing to your chest) not here (now, imagine me pointing to your muscles). Unfortunately, according to you Po’s mentor (a returning Dustin Hoffman, voicing Kung Fu master Shifu) it takes decades of dedication and inner-reflection to truly master one’s chi. Apparently pandas are incredibly mystical beings that have a true mastery of chi. Or, at least, they were. As Po’s newly found birth father (voiced by former Breaking Bad star and current Oscar nominee Bryan Cranston) promises to take him back to the secret panda village and teach him to master his chi. 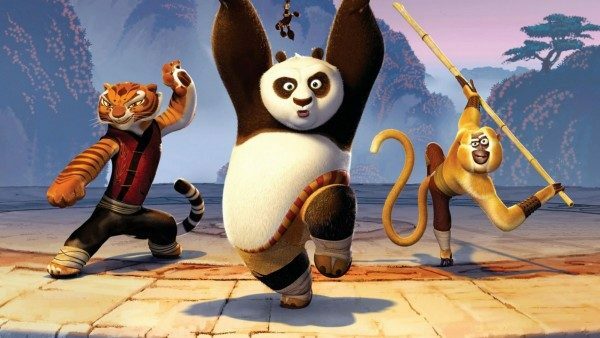 The Kung Fu Panda trilogy has always demonstrated an excellent choreography of its action sequences and deft use of 3D. Book-casing the film with fight scenes set in the Spirit World uses these to their full benefit. What’s missing, and it’s not a bad thing, is Dreamworks’ penchant to shoe-horn pop culture references into every single frame. In this void of easy laughs, character development is allowed to flourish. One of the funnier bits being the fact that no one remembers General Kai. The film was directed by Alessandro Carloni and Jennifer Yuh and comes from a screenplay written by Jonathan Aibel and Glenn Berger. Yes, there’s a bunch of silly stuff for the really young; Po and his father wrecking all the ancient artifacts in the temple. Po meeting his father for the first time is rather inspired but there is still something lacking from the film as a whole. It gets so close but just falls short of mastering its own chi. 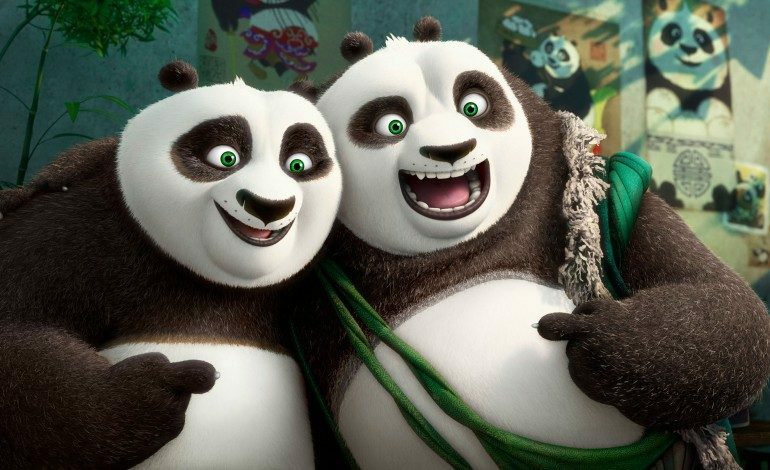 Perhaps, it may have to do somewhat with Po’s all-star cast of returning co-stars taking a backseat to the new community of pandas or that there just isn’t quite the right balance between humor and sentiment – it always seems to be either one or the other. It’s not that either one feels forced, perhaps with the exception of the flashback showing baby Po being abandoned by his mother. The jumps between silly panda antics and the constant heady talk of “being true to yourself” appear to be ideas for two different films, as if the filmmakers felt obliged to include those scenes in a movie that they’d imagined to be far more serious. The end result is still enjoyable but could have benefitted a good bit if the filmmakers took greater advantage of their PG rating and made a film that didn’t feel totally beholden to their G-rated audience.